Endless Vacation brings the world of travel to the 3.7 million members of RCI, driving the vacation ownership experience. The tablet version of the magazine (first published early in 2011) provides a home for extra content such as 360° panoramic images, video tours, and other interactive features. I helped the tablet version of Endless Vacation, and used that experience to create the app template of Ventures magazine two years later. 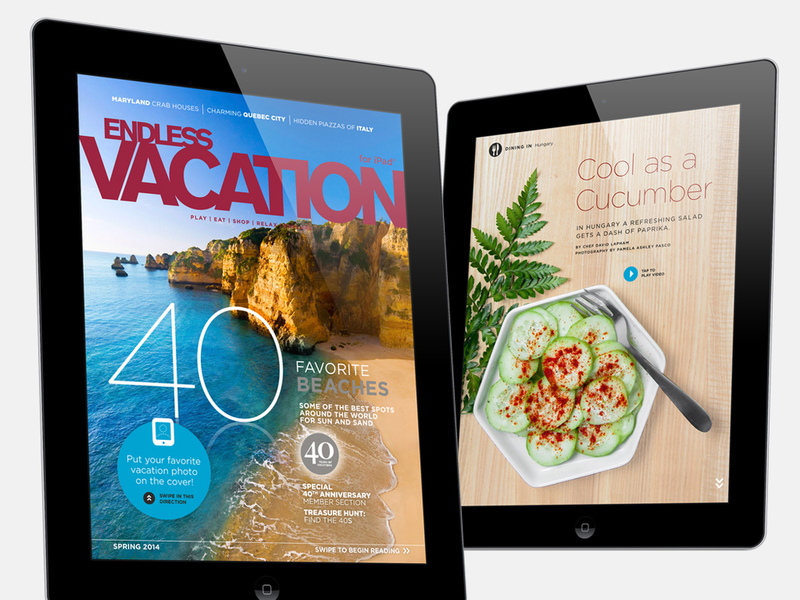 In bringing the print magazines to the tablet, our goal was to expand the readership of both magazines to non-members. From the first issues in 2011 we have seen our readership increase. At the same time, we have adjusted the interactive features according to recorded analytics, to ensure the best possible user experience.